In my last post you saw my wedding invitation suite in flat print. 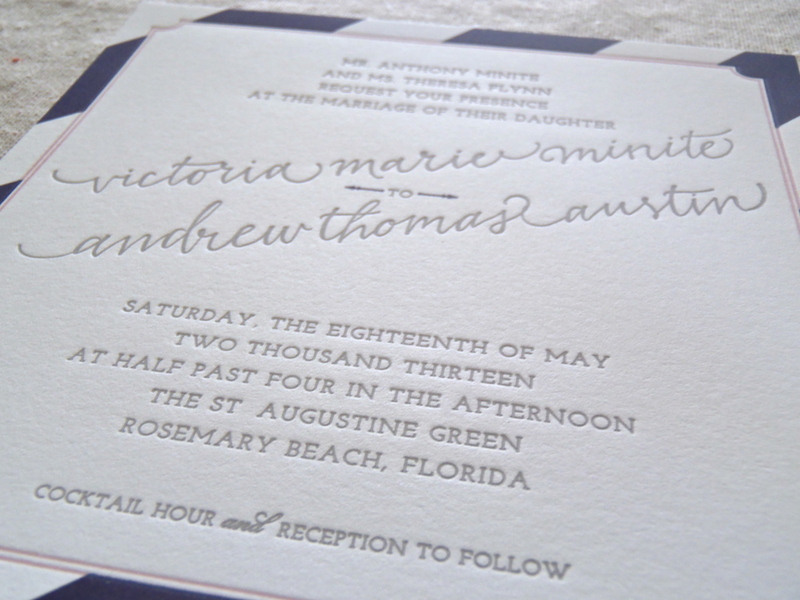 Now, I will show you the same, custom invitation suite by Honey Bee Invites using letterpress printing. 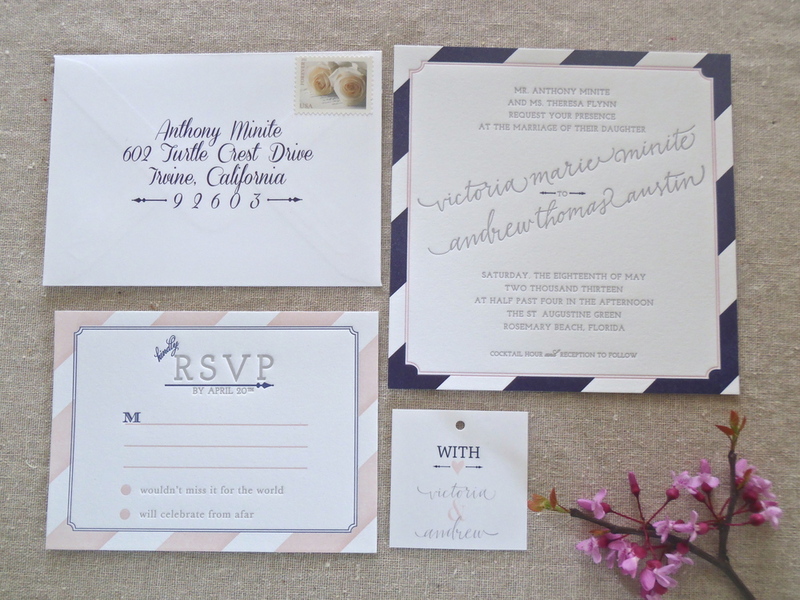 As a paper lover, I find the two versions of our invitation suite so different! I realize many people wouldn't bat an eye at the differences. But for most brides, these details become increasingly important while planning a wedding. Eeek! They are just how I envisioned! What is your preference... vibrant flat print or textured letterpress? 'LIKE' HBI on Facebook & check out their blog!